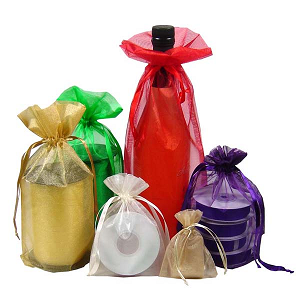 These beautiful sheer drawstring pouches make everything EXTRA-ordinary! Easy, fast, and GORGEOUS! Available in up to 9 sizes and many colors. 10 bags per pack.